When WNBA free agent Ivory Latta and the Atlanta Dream’s Elizabeth Williams got an email from the league about a new program to develop players’ business acumen, they were a little reluctant. It was an opportunity to attend the Harvard Business School: Crossover Into Business program for one semester. The program, once only open to NBA and NFL players, was now extending the opportunity to WNBA players. “I went like a day or so, and then all of a sudden I was on Facebook and I saw something else that said Harvard and I’m like, ‘What? Is this telling me a sign that I just need to do it?’ ” Latta said. She then spoke to her parents and her agent about the email, and they all encouraged her to take advantage of the new opportunity. Williams’ email was initially overlooked. Williams got a follow-up email from the president of the WNBA asking if she got the message. She read it again and thought it seemed kind of cool. Elizabeth Williams of the Atlanta Dream shoots a free throw against the Connecticut Sun on Aug. 28, 2016, at Philips Arena in Atlanta. The Crossover Into Business program helps professional athletes better prepare themselves for business activities during and after their active sports careers. “It’s definitely something I’m going to have in my back pocket, because I’m going to have to use this one day,” Latta said. The Crossover Into Business program for Williams can be used for any field of interest. She has always loved medicine, which may be in her plans. The infrastructure of the program includes matching athletes with a pair of Harvard Business School’s MBA student mentors. These mentors help empower the athletes to make smart business decisions. The program is tailored to their interests and leverages the acclaimed Harvard Business School case method. After a kickoff day on campus, the athletes work with their mentors throughout the semester, mostly through voice and video calls. They analyze a set of cases and learn about any other topics of interest. At the end of the semester, the athletes deliver a case analysis to their professor and a panel of student judges and answer their questions, all for a chance to be crowned the Crossover champion. 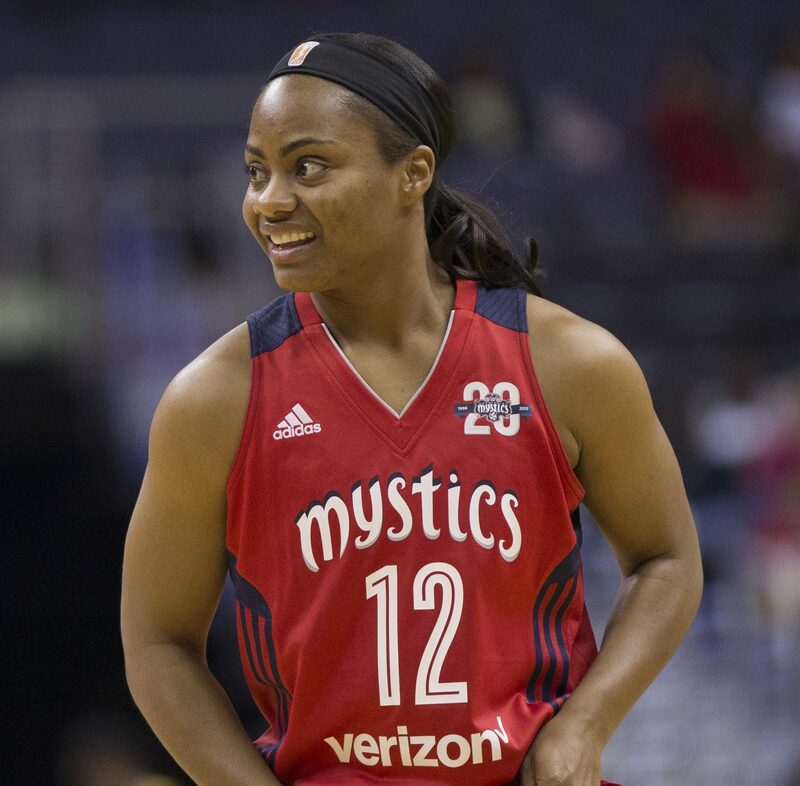 Washington Mystics guard Ivory Latta during a WNBA game between the Washington Mystics and the Chicago Sky on May 26, 2017, at Verizon Center in Washington, D.C. The biggest takeaway for Williams is how other athletes or entertainment veterans use their business sense to invest in things that feel authentic to them. The program was not rigorous for Williams, but it requires time and effort. Although Williams, 24, is a long way from her life after basketball, the program aids in her plans for the future. 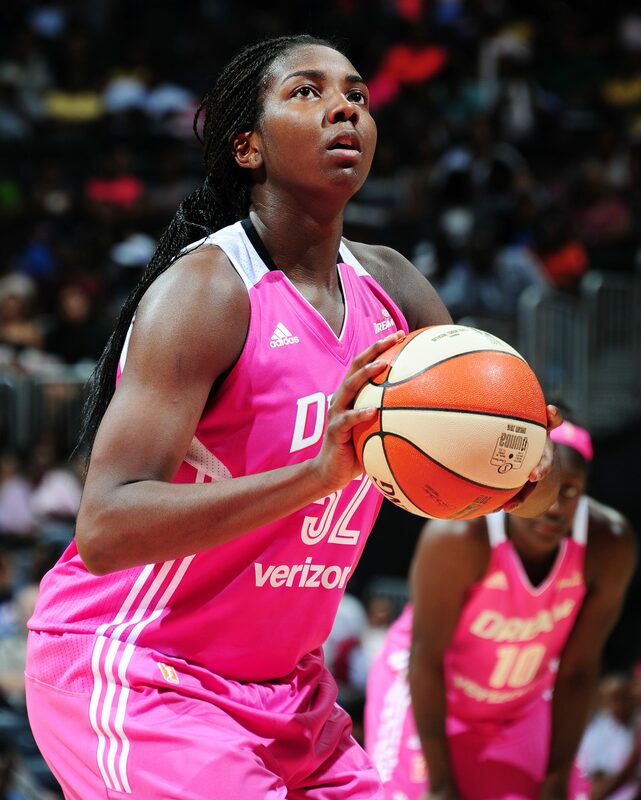 The two joined fellow WNBA players Alana Beard, Kayla Alexander, Marissa Coleman, Seimone Augustus and Tina Charles. Included in the cohort were NBA players Damien Wilkins, Festus Ezeli and Tiago Splitter. Chris Bosh previously completed the program. to connect the dots and educate myself before I even think about getting in the [business] game,” Bosh said. For Latta, 33, the workload wasn’t that bad. Latta has published a children’s book, Despite the Height, an inspiring true story of how she learned to play basketball as a child despite being 5 feet 6 inches tall. She wants to write more stories and inspire other children.